I say this every year when I write up year-end posts – how is it already the end of the year?? I feel like 2015 was just starting last month, and 2016 still sounds like it should be really far away. But nope, we’re almost already here! Thinking back on 2015, it’s been an interesting year, and not one that happened according to any plans or expectations. Once again, my life went through a complete upheaval (I wonder when this will stop happening so frequently? Please be soon!) – but at least this time it feels like I’m moving towards something more satisfying, and more me. (And I really hope I’m not just gearing up for a third round of major quarter life crisis-ing!). But while my life feels like it changes constantly, one thing that has been constant over the past few years is travel. I’m always on the move somewhere, and even though this year I didn’t travel quite as intensely as last year, I did get to visit some seriously cool places. How fitting that this is my first top travel moment of the year – my trip to Madrid was my first jaunt of the year! 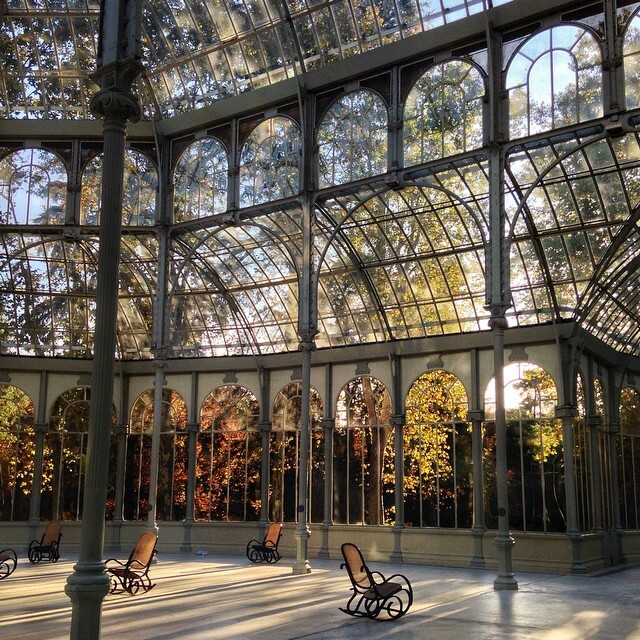 While it was surprising chilly (brr), I was thrilled with a chance to better explore one of my favorite cities – especially the Retiro park and its shimmering Crystal Palace, which hosts a rotating cast of art displays. I was pretty excited to visit Vienna, with all its shiny palaces, pretty cakes, and grand trappings of a former empire. But, to my surprise, I found the city quite boring. Still, there is one thing that I did really like about the city, and that was how many beautifully groomed gardens there were. 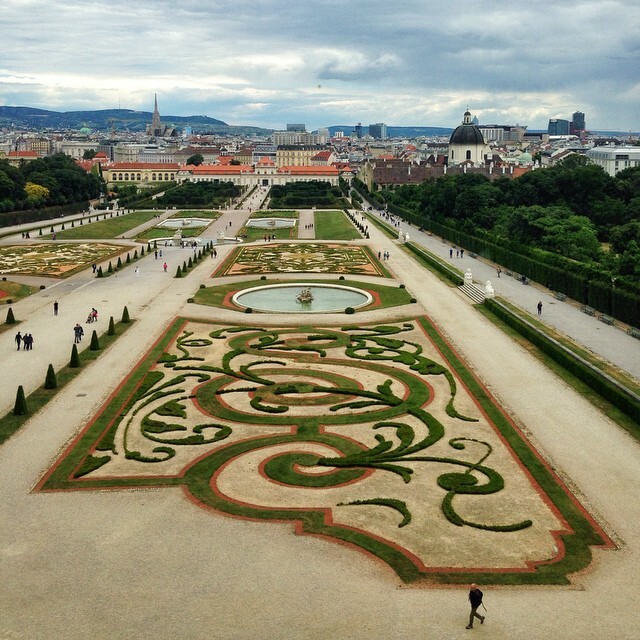 These particular ones can be found at the impressive Belvedere Palace. In August, I flew down to the south of Spain for a beachy road trip with two of my best girlfriends in Spain. 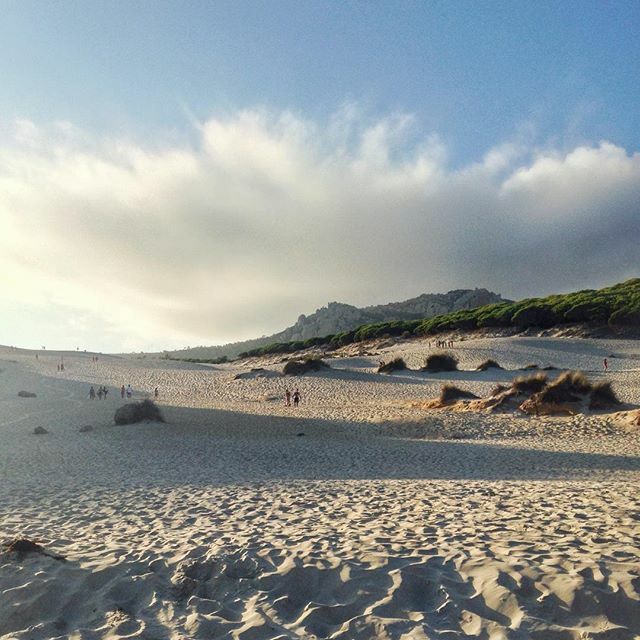 Bolonia de Cádiz may have been the most visually striking of the beaches we discovered on our journey. The white sand beach is overlooked by a huge dune, which rewards those who climb up it with sweeping views of the coastline. 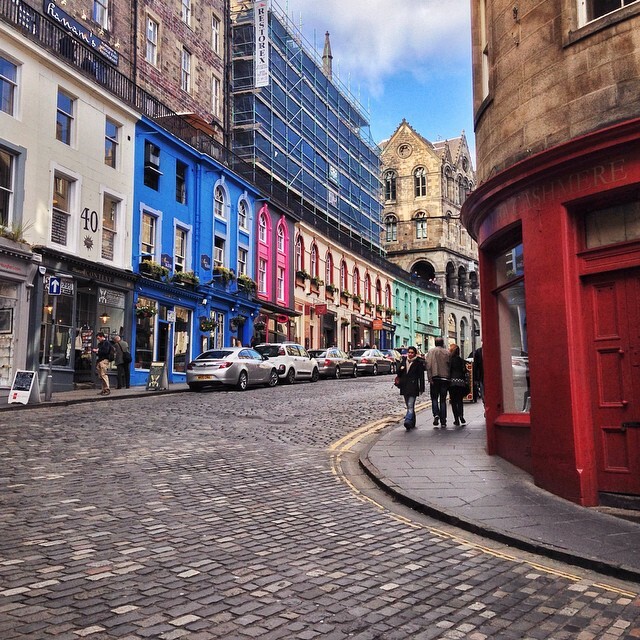 This sweeping street is the real-life inspiration for Diagon Alley in the Harry Potter series. It’s filled with an equally magical assortment of everything from joke shops to ancient bookstores to craft stores. Edinburgh has plenty of actual locations that show up in some form in the books, and it’s a truly enchanting city to visit. 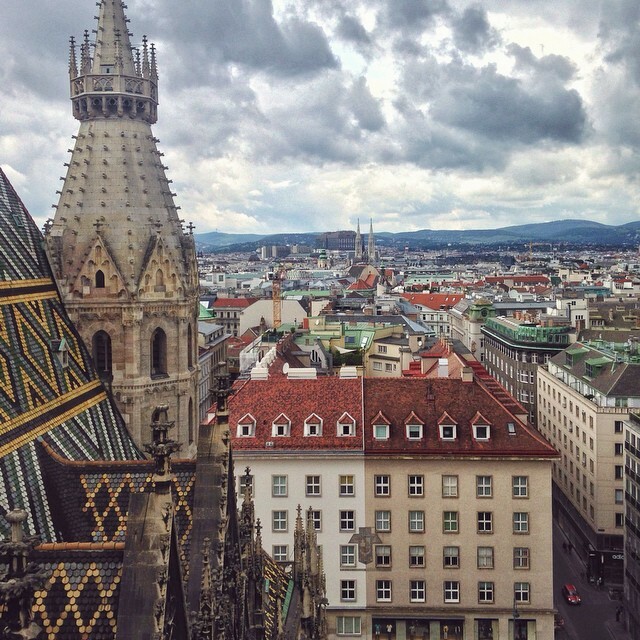 Read more: On the Trail of Harry Potter in the U.K.
There’s no better place for views of Vienna than from the top of the cathedral! Not only does it give you a wonderful view of the city from high above, but you also get a peek at the intricate tile work that tops the cathedral. While I didn’t love Vienna, I definitely loved this view. 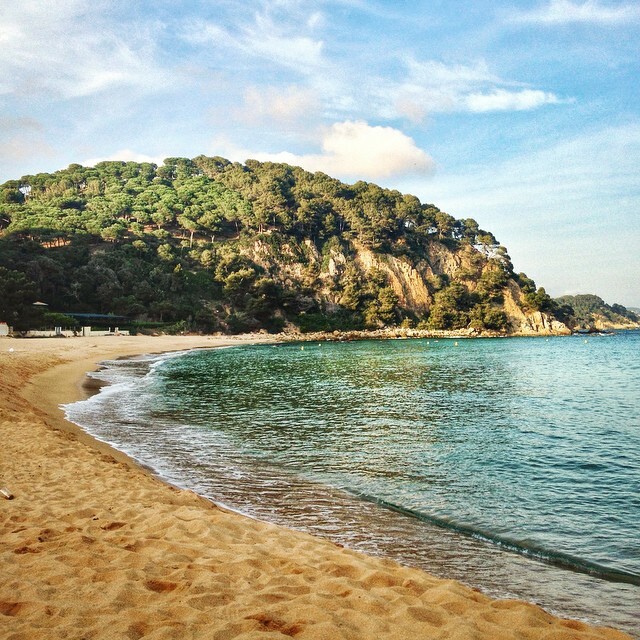 Ok, geek moment alert – I was in the Costa Brava to attend a travel blogging conference. One of the major highlights of the conference was arriving by boat to this gorgeous private beach, where we were surprised with an incredible party. Sometimes this whole blogging thing can be pretty OK! Read more: 5 Great Places to Visit in Catalonia that Aren’t Barcelona! London is one of those places that makes the cliché “a surprise around every corner” really hold true. 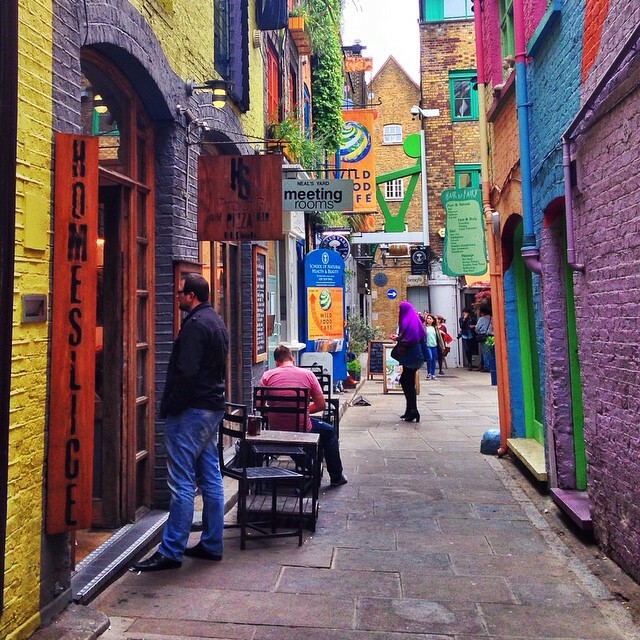 This burst of color in the hip Covent Garden neighborhood was a pleasant surprise on a typical rainy grey London day. I only spent a day in London, so I’m already itching to go back. Every spring, I try to visit the annual flower festival in Girona. 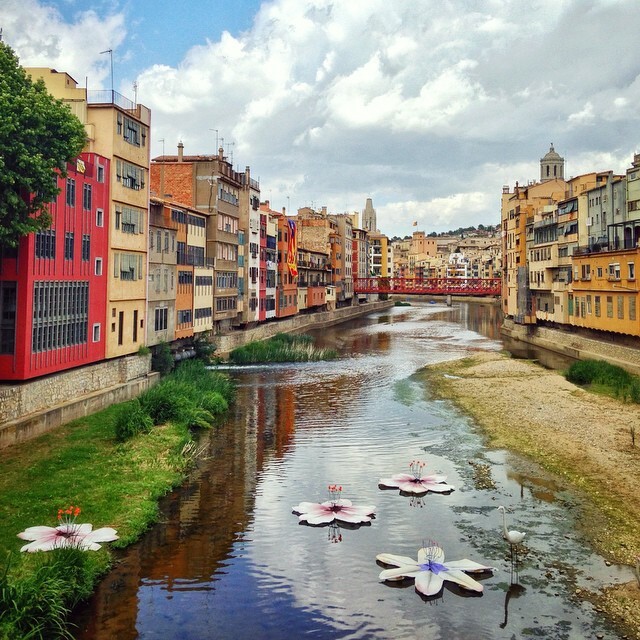 The historic walled city gets draped in creative decorations made out of flowers, like these little white blooms floating in the river that runs through the city. 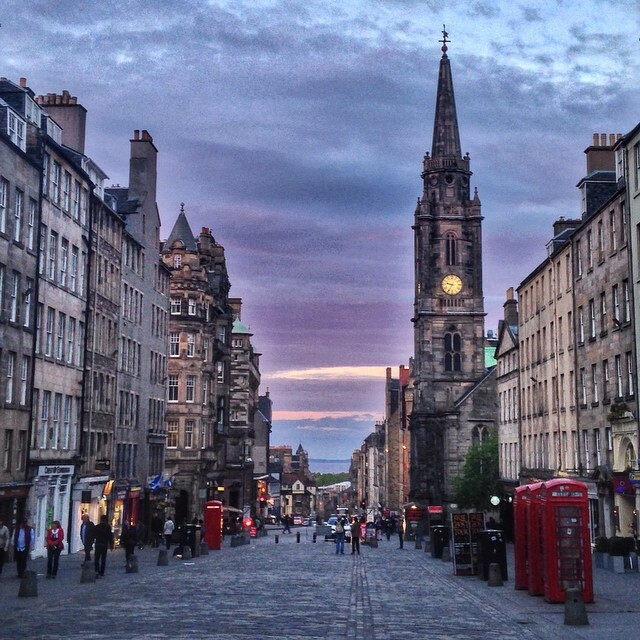 Edinburgh greeted me on my most recent visit with a beautifully jewel-toned sunset on the Royal Mile. While I wasn’t supposed to have such a long visit to the city (my booking for a trip somehow got lost – which the company let me know about just hours before I traveled to Scotland), I enjoyed using the time to really get to know it. Sevilla is the first place I visited in Spain, and it’s sort of the reason I’m living in Barcelona – even though I actually hated my time in Sevilla. But I’m all for giving places second chances, and every time I go back to Sevilla I like it more. 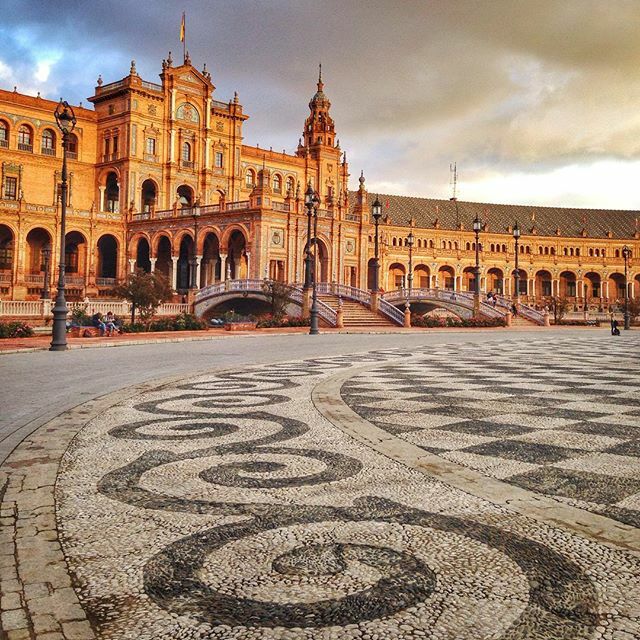 Sunset at the Plaza de España is a pretty fantastic reason to go back time and time again! 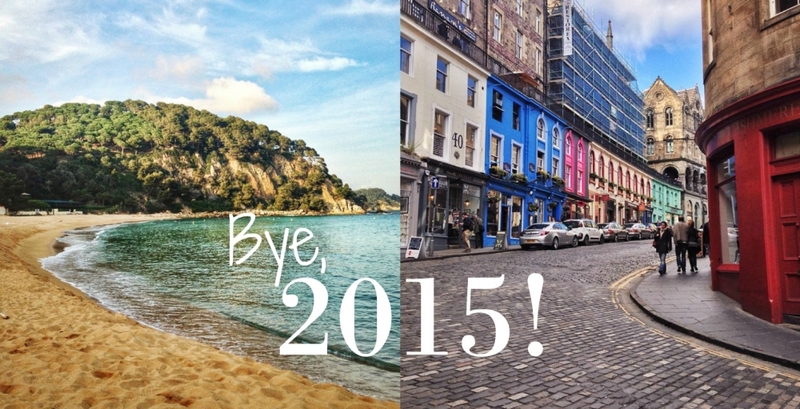 I hope your 2015 was as full of travels as mine was! Here’s to a 2016 with more adventures (and I still can’t believe it’s almost 2016). Coming up next is a roundup of my best Barcelona moments of the year! What was the best moment of your 2015? And what big plans have you got for 2016? You saw some amazing places this year! Great photos. I am featuring St. Stephen´s cathedral in my next book.Happy New Year!! All the best in 2016. Beautiful photos! So many of these Spanish locations are on my travel list for 2016. They look amazing! You had a colourful year by the looks of it. The flower festival in Girona sounds wonderful! I will briefly be in Madrid next year so will try to check out the crystal palace- I am posting my annual review tomorrow. Love the photos of Edinburgh. That’s definitely on my to-visit list this year. Our big trip for 2016 is our honeymoon to Japan in May. Can’t wait! What a life! I’m a beach connoisseur myself; Bolonia de Cádiz and Costa Brava are both on my bucket list of wonderful beaches to visit. And if you’re ever traveling in the states, try the north Oregon coast. While I also love to visit foreign beaches, the Oregon coast remains #1 in my beachy heart. So very happy we met. I live vicariously through your blog. I NEED to go back to Barcelona.